Header Pins - Taiwan King Pin Terminal Co., Ltd.
Header pins are one of TKP high quality electrical components usually used in IC assemble. The conduction and accuracy are essential factors of the products. Therefore, to produce the items, we utilize high quality international manufacturing equipment and well-quality material. All TKP header pins have passed UL, CSA, TUV approval, RoHS compliance and patents. If you need them with best quality, please contact us. We offered in a single row configuration with 2 through 6 circuits. Terminals provide a more reliable electrical connection. And use a Copper Alloy with Tin/Lead over Nickel Plating, including the PC tails on the vertical and right angle header assemblies. The Header Pins offer a robust primary locking mechanism. In addition, a secondary locking mechanism. It designed with positive mechanical locking latches on the receptacle housing to prevent accidental disengagement. 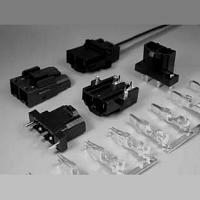 The isolated towers on the receptacles provide polarization and terminal protection. It have taken power to an even higher level with development. 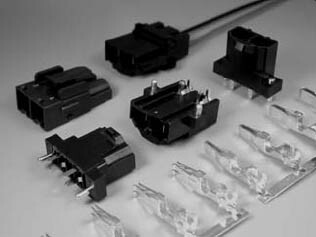 Design is capable of handling up to 50.0A per circuit.